Holter monitoring is a painless way to record your heartbeat away from the doctor’s office. 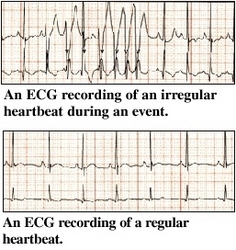 It is a smallelectrocardiogram (ECG) that you carry with you. 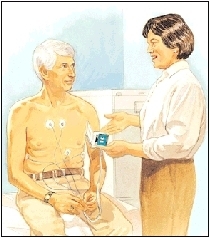 Holter monitoring records your heartbeat for your doctor to review at a later time. You can receive your heart monitor in a hospital, test center, or doctor’soffice. Follow your normal routine. Don’t avoid stress, work, or exercise. If an electrode falls off or the unit makes noise, call to see what you should do.